Trade union Solidarity announced on Tuesday that it had sent a strike notification to Sasol. "Our members at Sasol unanimously said: Enough is enough. This type of crude racial exclusion cannot be tolerated any longer. These white workers are also valuable," Solidarity Chief Executive Dirk Hermann said in a statement. This follows Sasol and the union being unable to reach compromise at dispute resolution body the CCMA in May about Sasol's share scheme for black shareholders and employees, known as Sasol Khanyisa phase 2. According to Solidarity, 95% of its Sasol members in Sasolburg voted to go on strike, and 83% of its members at Sasol in Secunda also voted in favour of downing tools. It is unclear when the strike will start. 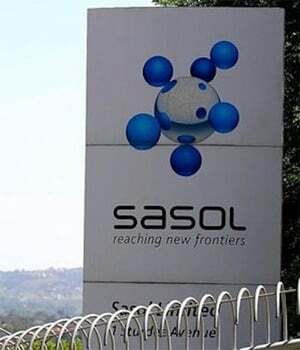 The union said that, while the strike notice gives the union permission to give Sasol a 48-hour strike notice, "[t]his notice, however, does not necessarily mean that a strike should commence after 48 hours". Sasol on Tuesday said it had received notification from the trade union Solidarity of its intent to strike. "The notice is in line with requirements that Solidarity provide us with 48-hours’ notice, however the start date of the planned strike action is yet to be confirmed by the trade union," said Alex Anderson, Sasol head of group media relations in a statement. "Notwithstanding the absence of specific dates of the planned strike action, Sasol has activated contingency measures to minimise potential disruption to our operations," said Anderson, adding the group remained committed to "open and honest engagement with all our trade union partners". On Monday, Sasol had said there was a great deal of "misunderstanding" around how the share scheme worked. It noted that the first phase of the scheme – known as Sasol Khanyisa Phase 1 - was extended to all employees "regardless of race, tenure or seniority" who were participants in the group’s previous employee share scheme known as Sasol Inzalo. "Phase 2 of Sasol Khanyisa is extended to our Black permanent employees (African, Indian, Coloured), as defined by the DTI Codes of Good Practice," said Sasol in a media statement on Monday. Sasol said that transformation, in the form of share ownership in Sasol South Africa by previously disadvantaged groups, was an "important business, social and moral imperative for Sasol". It added that the Khanyisa share scheme was not part of the group's employee remuneration or benefit structures. "It was specifically designed to address the ownership component of the B-BBEE Codes and therefore Sasol Khanyisa primarily focuses on the inclusion of Black employees," it said. * Update: This article was updated at 15:28 on Tuesday, August 28, with comment from Sasol.